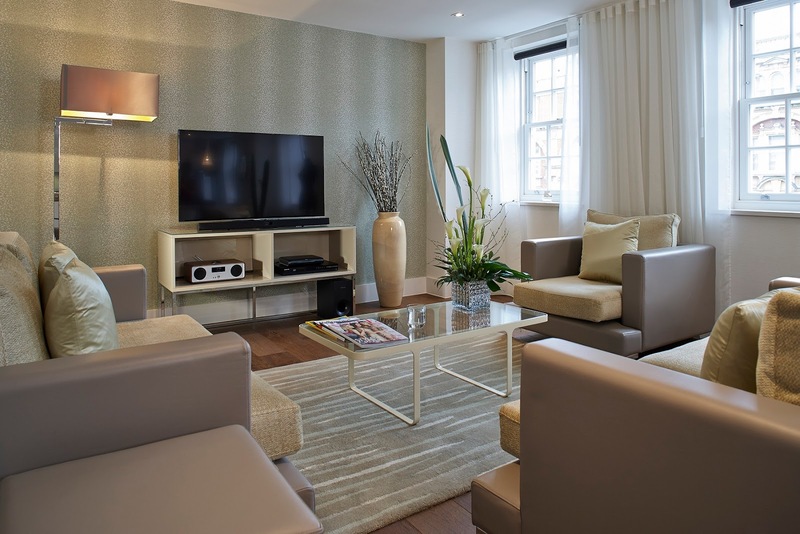 Cheval Knightsbridge are some of my favourite apartments in the Cheval portfolio. From the fabulous and funky interiors to the faultless neighbourhood, these apartments are right up my street! I had the opportunity to experience the fab new apartments at 126 Brompton Road with 2 of my best friends, Claire and Gabby; fellow young professionals working in the big city. I met the girls at the tube station and we set off on our Knightsbridge adventure for the evening. After collecting the keys from the 24 hour Concierge at 15 Cheval Place, we made our way up the stairs to our amazing 2 bedroom apartment. I was amazed by the beautiful interiors, everything in the apartment seemed to habitat harmoniously from the textured walls to the quirky doggie portraits to the jazzy mannequins. I felt right at home. After exploring every nook and cranny, it was time to make our one pot wonder! In a large saucepan over medium heat, combine spaghetti, sausage, onion, tomatoes, basil, garlic and 500ml water; season with salt and pepper, to taste. Bring to a boil; reduce heat and simmer uncovered, until pasta is cooked through and liquid has reduced for 8-10 minutes. Stir in parmesan. This recipe is fantastically low fat as no oil is added, simply using the juices from the vegetables and meat with a sprinkling of salt and a crush of pepper allowing the flavours to gel together and is great for those of us who are health conscious. We ate dinner whilst gossiping over work and boys then hopped across the road to Harrods for 3 decadent slices of cake and a bottle of bubbles. It felt so uplifting to step out into the busy streets of Knightsbridge and make the most of the glorious neighbourhood! This residence really embodies a forward thinking notion and is perfect for professionals living busy city lives. The apartments are equipped with many convenient and time saving gadgets; the handy USB charging ports, built in knife sharpener, front door video screen, DAB digital radios and even the eco-friendly cleaning products. After running a bath and catching up with the latest episode of Made in Chelsea with vino and dessert in hand, I asked the girls what stood out the most about Cheval Knightsbridge, Claire really loved the ‘little touches, amazingly fluffy towels’ and the view from the windows! Gabby also revelled in the ‘spectacular location’ and loved the ‘modern facilities’. We were really enjoying catching up in the apartment and before we knew it, it was bedtime. I really looked forward to sinking into the beautifully bespoke Cheval beds while awaiting the morning sun. The firmness of the mattress was perfect, I had such a great night’s sleep and didn’t want to leave the bed when morning came. Mornings have never been my forte but I jumped for joy when I heard the Able and Cole breakfast was ready! It was great to sit and eat on the island counter and eat our breakfast of champions! The scrummy bread, fruity jams and Nespresso coffee went down a treat before heading off out onto the Brompton Road and on with our busy lives to work. Our very talented colleague Roman, filmed this wonderful teaser which I have to share with you! What makes Cheval Knightsbridge unique from our other residences is that these apartments are sprinkled around the Knightsbridge area and not confined to one building block (on top of the distinctive charm of course). These Extended Stay apartments are available to book now for 3 months or more by contacting our reservations team by phone +44(0)20 7341 7052 or email reservations@chevalresidences.com.